Cyrsti's Condo: Success in Columbia? 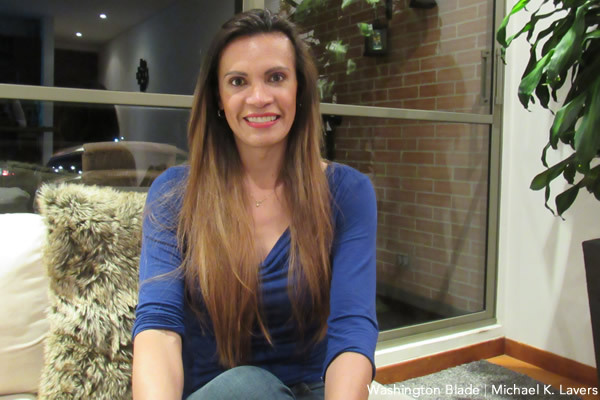 BOGOTÁ, Colombia — A transgender woman who is running for the Colombian Senate hopes to make history in the South American country. Tatiana Piñeros on Monday formally registered her candidacy with Colombian election officials. Piñeros is ninth among the list of candidates for the “List of Decency” — a coalition that includes the center-left Independent Social Alliance and Patriotic Union parties and the Indigenous and Social Alternative Movement. Congressional elections are scheduled to take place on March 11. Piñeros would become the first openly trans person elected to the Colombian congress if she receives enough votes.